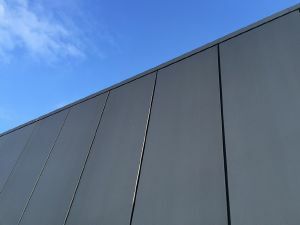 The Metal Solutions Honeycomb panel system comprises of an aluminium honeycomb core with a metal skin and metal backing panel, producing a cost effective, lightweight and exceptionally flat panel. The panels have a high impact resistance and can be removed individually. Panels can be finished in all metals for example copper, brass, bronze, zinc, stainless steel and coated aluminium.